Foliage: Stems prostrate, leaves narrowly linear, tapering toward the base. Heritage ranking, if any: S1. State endangered, listed Pinelands. Misc. This subspecies known only from the New Jersey Pine Barrens. �Ģ There is slight morphological variation between the disjunct populations (Fernald and Schubert 1949). 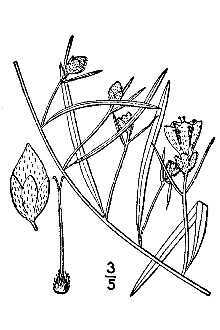 �Ģ S. pickeringii appears to be a primary successional species and cannot invade or colonize new areas without some sort of disturbance, whether fire or mechanical. 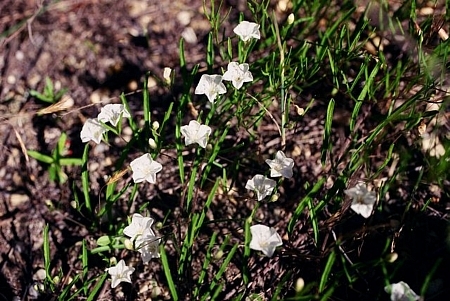 In fact, spread of the dawnflower is greatest just following a spring or summer burn, where new shoots can colonize, flower, and set seed on newly cleared soil (TNC 1993). The optimal fire intensity, however, is unknown. �Ģ Many populations occur in managed sandhills that presently receive regular prescribed burns. 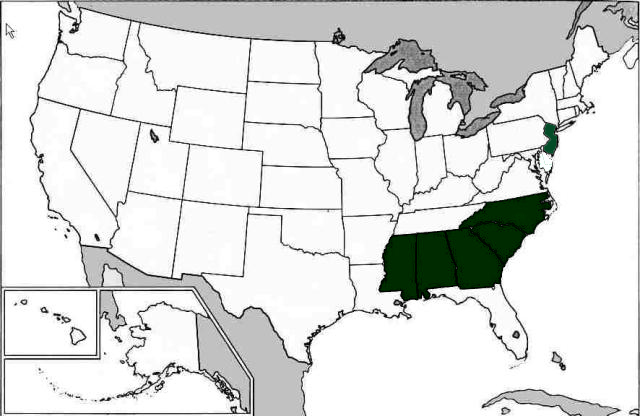 However, there are a significant number of roadside and other populations that lack a current management strategy (Bert Pittman, SC Natural Heritage Trust Program, pers. comm.). �Ģ Researchers in NJ report that prescribed burns destroyed populations in their state (TNC 1993).